At Sunbelt, we believe in exceeding our customer’s expectations and providing a quality product and construction experience. As a result, we find that our past customers become more than customers, they become friends for years. We would encourage you to call any of the customers, consultants or contractors that we have worked with for their comments on working with Sunbelt Pools. 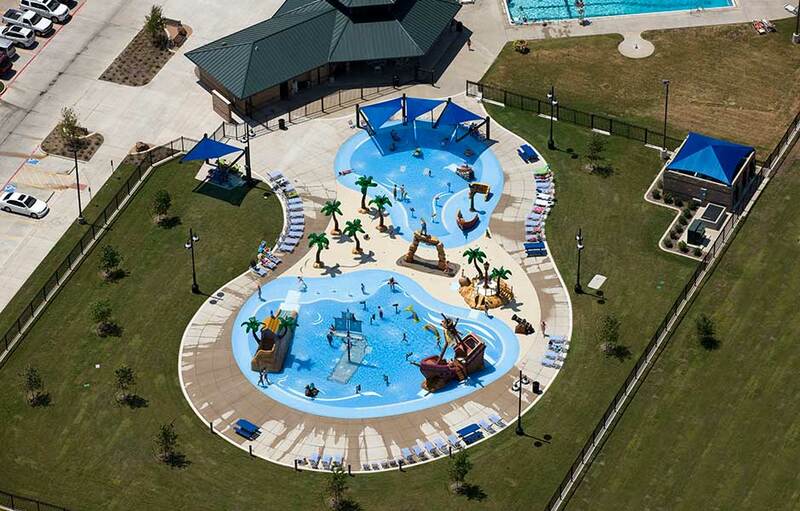 Municipal waterpark with 20,300 square feet of surface area. $700,000 contract for all pool plumbing and equipment. Completed in May of 2005. 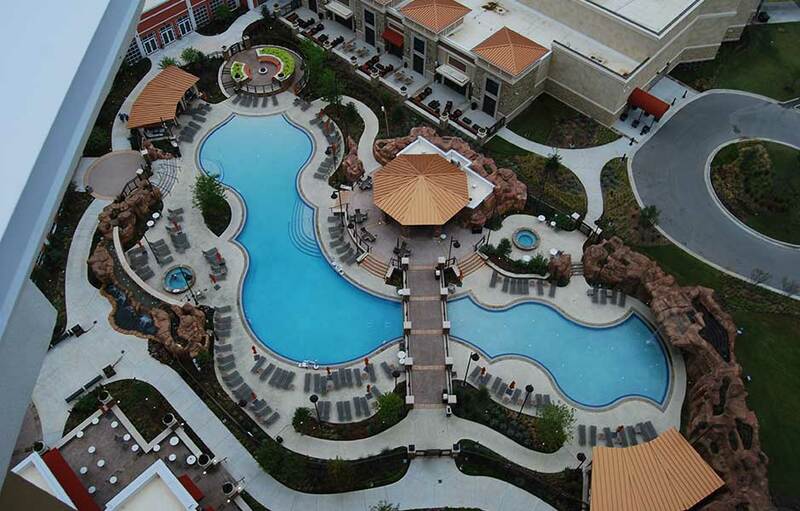 Outdoor competition, leisure, diving and lazy river pools. 19,000 square foot, $2.7M project, complete in April 2009. 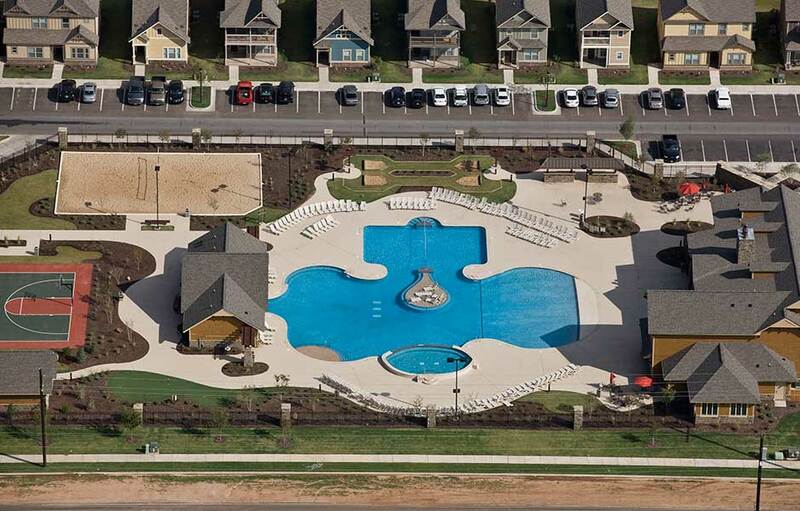 University competitive pool and outdoor recreational pool with 5,600 square feet, 7.2 ft. deep. $650,000 contract completed in September of 2005. New natatorium pools, 25 Yard, 8 lane Competition pool plus 14 foot deep 200,000 gallon diving well with 3-meter competition board. Total of 7,000 square feet and 420,000 gallons. September 2007. 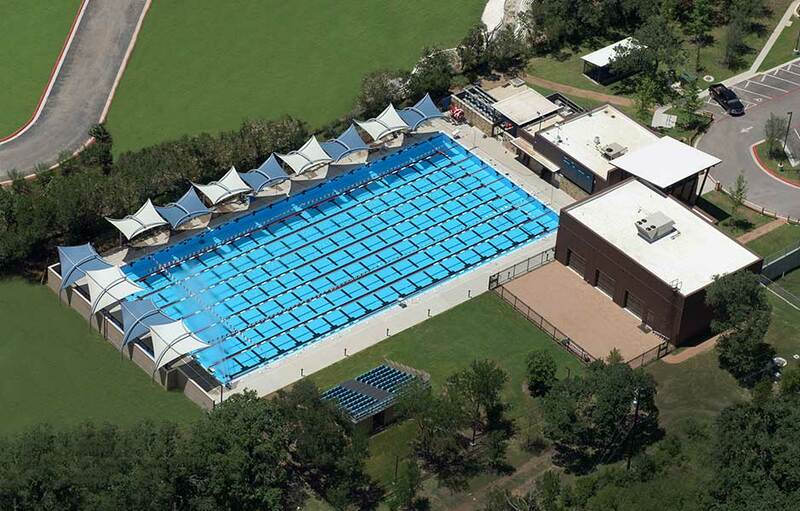 Competitive pool with diving well and 9,000 square feet and 516,000 gallons completed Dec. 2010. Therapy pool and Flow Rider pool. Project funded by the Intrepid Fallen Hero’s fund for wounded servicemen at Brooks Army Hospital in San Antonio, Texas. Leisure and exercise pool with concrete and tile gutters. Project with very short time constraints that finished 1 month early in April 2006. $850,000 contract. Construction Manager: Manhattan Construction Co.